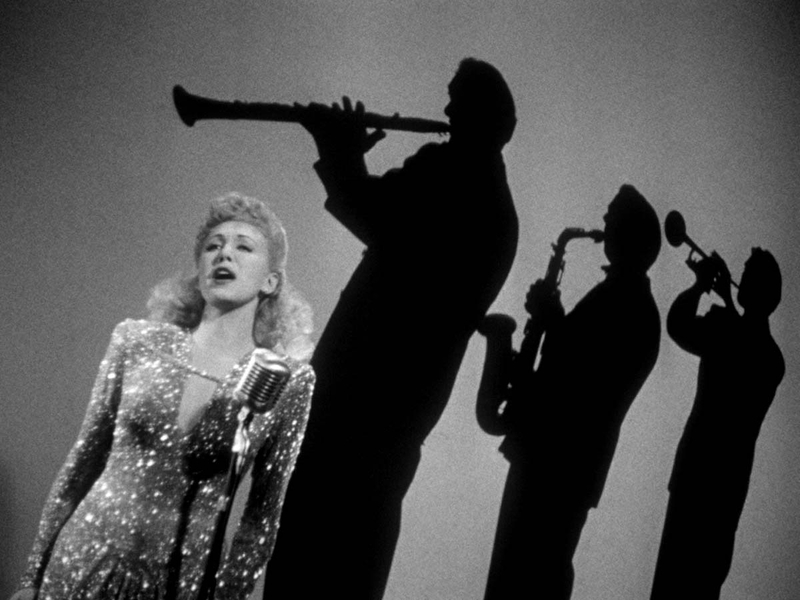 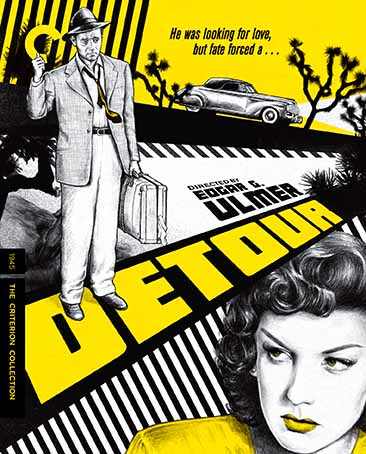 Edgar G. Ulmer’s legendary B movie, the quintessence of film noir, newly restored and on Blu-ray for the first time. 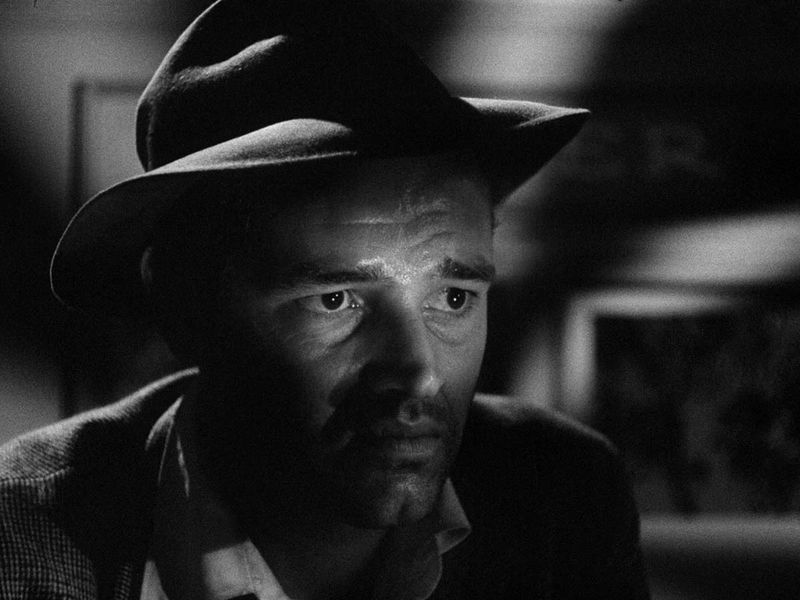 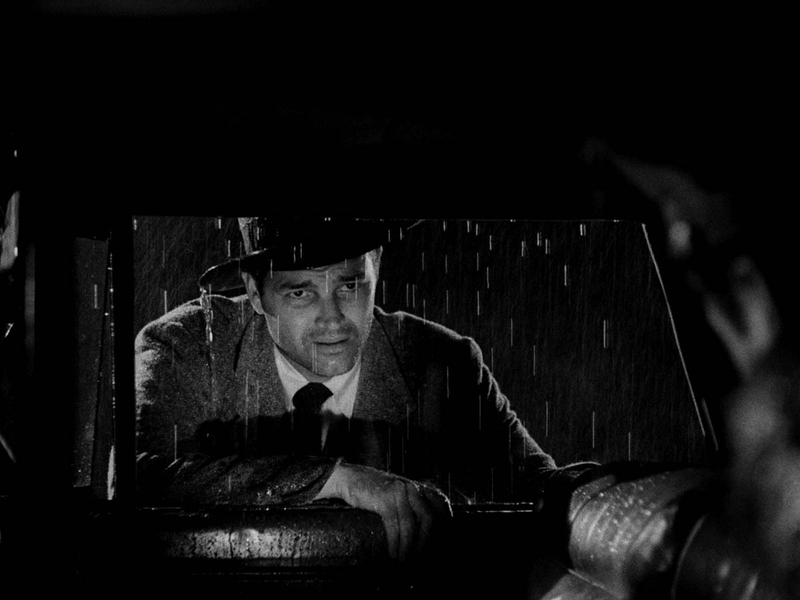 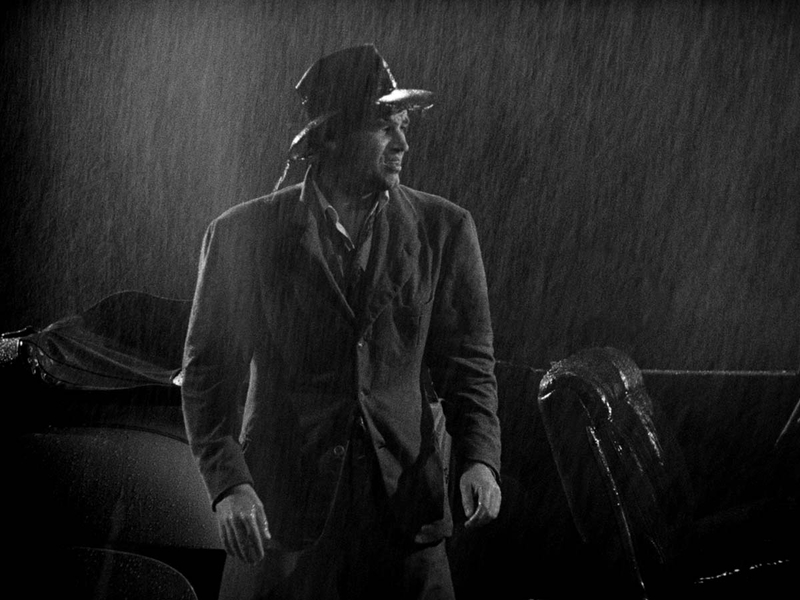 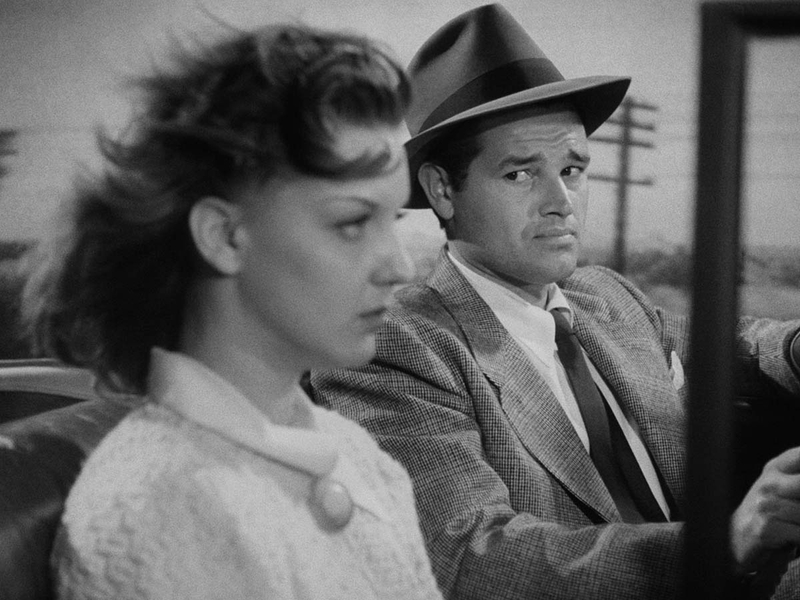 From Poverty Row came a movie that, perhaps more than any other, epitomizes the dark fatalism at the heart of film noir. 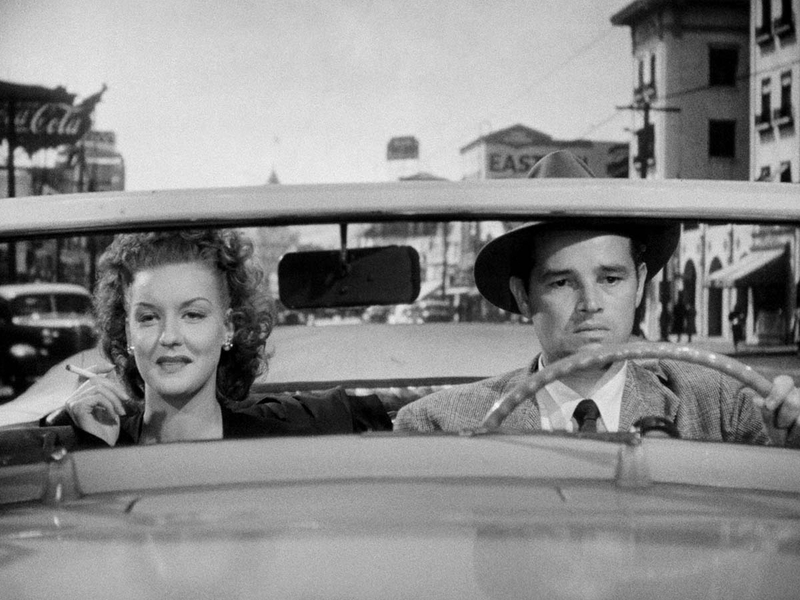 As he hitchhikes his way from New York to Los Angeles, a down-on-his-luck nightclub pianist (Tom Neal) finds himself with a dead body on his hands and nowhere to run—a waking nightmare that goes from bad to worse when he picks up the most vicious femme fatale in cinema history, Ann Savage’s snarling, monstrously conniving drifter Vera. 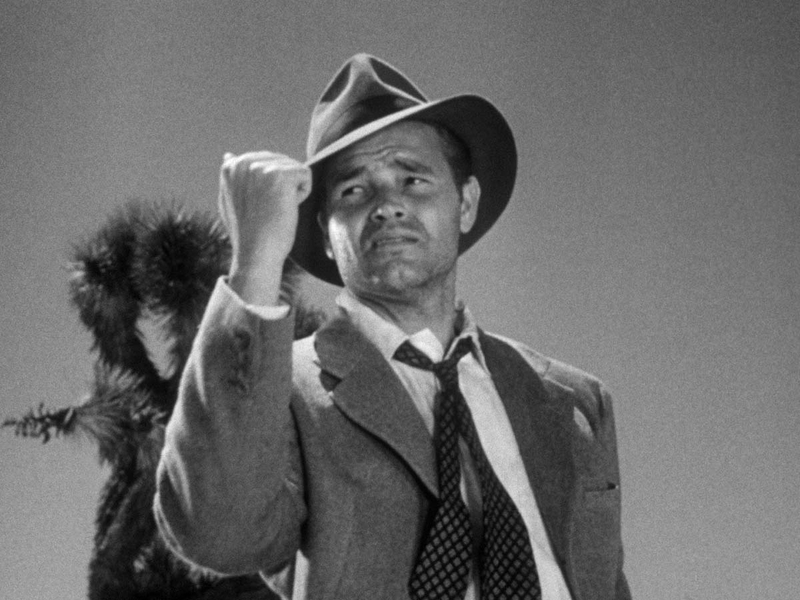 Working with no-name stars on a bargain basement budget, B auteur Edgar G. Ulmer (People on Sunday) turned threadbare production values and seedy, low- rent atmosphere into indelible pulp poetry. 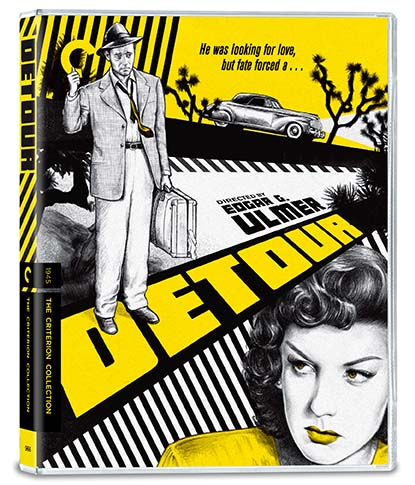 Long unavailable in a format in which its hard- boiled beauty could be fully appreciated, Detour haunts anew in its first major restoration.